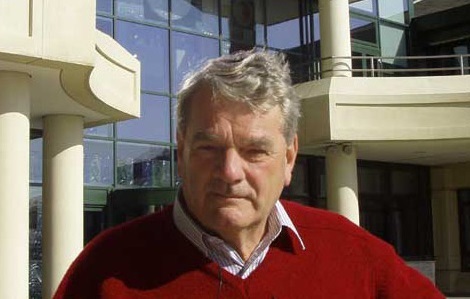 More than 3,000 people have signed an online petition calling on Manchester University to remove books by Holocaust denier David Irving from library shelves. The petition, launched by the North West Friends of Israel, says: “Leaving Irving’s books on open display is a threat to the safety of Jewish students and staff at a time when anti-Semitic hate crime is on the rise across Europe.” You can view the petition here. The campaign is backed by Dr Irene Lancaster, Manchester University’s first Teaching Fellow in Jewish history, as well as Dr Rowan Williams, the former Archbishop of Canterbury. An English historian, Irving lost a high-profile legal battle against American historian Deborah Lipstadt, having sued for libel after she described him as a “Holocaust denier”. However Churchill College at Cambridge and University College London have both now reclassified Irving’s works, either moving them to ‘closed access’ areas or inserting disclaimers inside the books. Lancaster said her work in the study of Jewish history was in part about establishing the difference “between fact and fiction, myth, historiography and history”. Lancaster, who has worked at Yad Vashem, met the University’s associate vice-president for social responsibility Prof. James Thompson in April, but to no avail.